This Orange Cranberry Salad is simple but bursting with flavor, especially with the Tea Infused Dressing. Salad dressing and soups are two things I cannot understand buying in the store. They are both so easy to make yourself and so much better. This orange cranberry salad dressing takes five extra minutes to boil a little vinegar and steep the tea. I used an herbal berry tea, but cranberry or orange spice would pair nicely with this salad. I used arugula because I love the bold peppery taste. Did you know arugula is one of the top 10 most nutrient dense foods? You can swap some or all of the arugula for spinach or even Romaine lettuce if you prefer. Zest the orange (remove the orange part of the peel), then peel, seed and slice the orange into chunks and set aside. In a small saucepan bring apple cider vinegar, orange zest and tea bag to a boil. Remove from heat and let steep for 5 minutes. Strain the vinegar into a small jar or bowl. Place lid on the jar and shake until combined (or whisk together in a small bowl). 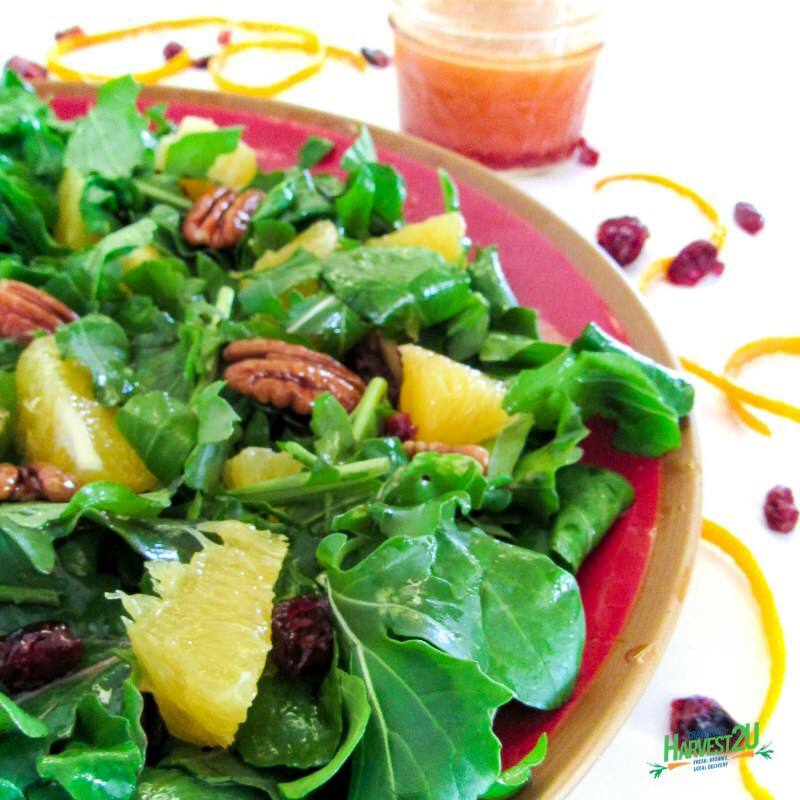 In a salad bowl, combine arugula, oranges, cranberries, and pecans. Add dressing to taste (you will probably have plenty left over).